Welcome to 3blenders.com. Our company operates under the new name OMNIBlender.COM LLC. We are the importer exclusively of the OMNI V 3 hp Super Blender. It blends much better than most blenders and it is as good as the Blendtec and other Costco-sold (but much more expensive) blenders. We have been selling a variety of blenders for several years now, ever since 2007. Our company used to be called 123Vita LLC until our major competitor raised a fuzz about the name. We didn't want to keep fighting. 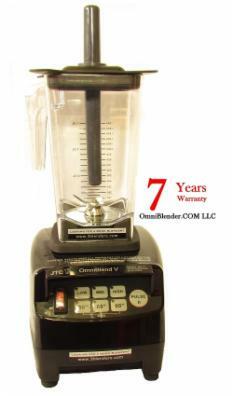 Now we are operating under DBA OMNIBLENDER.COM LLC and are selling exclusively the OMNIBlend 3 horsepower blender. You will see our Company grow, thanks to the many loyal customers who love the OMNI Blenders, because of its "Best Bang for the Buck" quality. It has a 3 horsepower motor, all and best smoothie blending capabilities, and a great low price. We are hoping that our service before and after your purchase is to your satisfaction. We may not give you every inch of our lives, because we want you to be as reasonable as you expect us to be as well. But you can have our attention and our time. OmniBlender.COM, LLC is owned and managed by Angelica Fox in the background. Angelica has many years customer service experience. She is focused on building a business that is honest with its customers and provides the best customer service. The former company 123Vita, LLC together with OMNIBlender.COM, LLC is in Angelica Fox sole name because of Thomas' cancer illness diagnosed in Summer of 2008. The business started with the inspiration of a healthier lifestyle for Thomas ever since he has been diagnosed with colon cancer. Although in remission after extensive treatment, ironically the conventional treatments have caused severe damage to some of the associated tissues and organs that were in the radiation's path. It is hoped that the raw food smoothie lifestyle will aid in repairing many of the damaged tissues at least in part. As part of our gratitude, we are giving back to the community with our all-time-low blender price and high quality high performance blender quality. If you are military, police, a fire fighter, or you are with any other law enforcement agency we are offering a $10 discount. In addition, we are offering 18% Referral Fee if you want to promote the OMNI Blender to your friends and family. 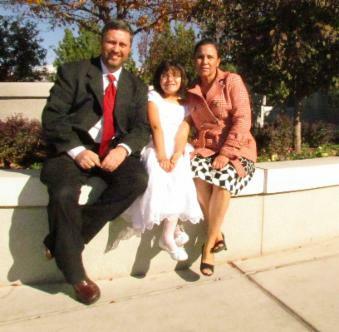 Thomas was diagnosed with Colon Cancer in 2008 and has been in recovery ever since. Angelica and Thomas were already engaged in the blender sales business at that time. 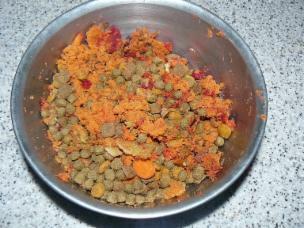 So it was not so difficult to adapt to new meals and new lifestyle concepts associated to blending raw foods. Of course the cancer concerns are always ongoing, and should be for anyone, even those who have not been diagnosed with it. And regarding Thomas' cancer experience reference, of course you want us to assure you that green raw smoothies have helped him and will help you too. But we cannot do that. Please be careful about that kind of expectation. While it makes sense that fresh and raw vegetable and fruit smoothies are at the very least yummy and good for one's wellness and delights your pallet, every human organism is little different. We cannot promise that one might or could be cured through any remedy, whether FDA approved or not. The FDA does not know it either. Your doctor won't know it either. Everybody will always give you a disclaimer. We just have to give it our best, and then trust in God to do the rest, to either extend our live or to accept a shortcut into paradise. Hopefully you like our newly designed and built website. Your feedback is welcome and we hope we can do business with you, ongoing. If you have any questions, contact us! Thank you, for your enthusiasm to a new lifestyle! And in the picture to the right is our Coco. She was born in 11/2008. She is a Nova Scotia Duck Toller - Retriever. She pulls hard, works for her treats, and of course she is a raw dog. When we walk Coco and let her off the leash she usually runs away chasing deer, other dogs and little kids. She loves kids! If she does not return, usually the police brings her in for questioning. They already know her...and us...our troubled wild dog! In February 2012, Coco fought off 2 burglars at 3 am, one night. And later in March, a stranger walked up to Jasmine from behind. But Coco's wild and keen sense for protecting her family warned us of the danger. When the stranger caught wind of our alertness, he ran back to his car and disappeared. Coco very likely has helped prevent a child abduction. She has definitely earned her bones. Coco is a vegetable dog.